15 February 2014. Article by Karl Fjellstrom, for ITDP. 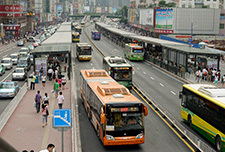 BRT solves the problem of bus stop congestion, which causes major interference with cars and other modes at bus stops. 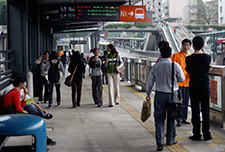 With BRT, more than 20 safe pedestrian crossings have been added, removing conflicts between vehicles and crossing pedestrians along the BRT corridor. 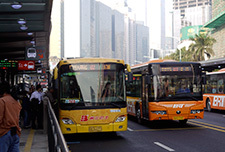 With BRT, intersections have been improved to benefit not just BRT, but also mixed traffic. 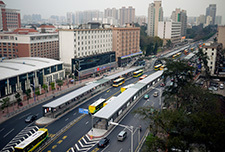 The increases in traffic in the BRT corridor occurred immediately after the BRT system opened, indicating that trips were diverted from other roads, especially the largely parallel Huangpu Avenue, to use the BRT corridor. 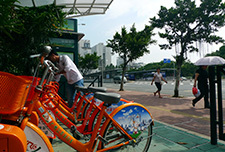 The speed surveys are shown for the morning and evening peak in the peak direction (into the city in the morning, and out of the city in the evening). 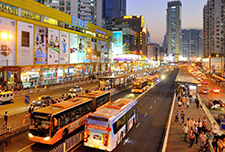 These results show that BRT cand provide a 'win-win' for policy-makers keen to implement BRT without adversely impacting mixed traffic. 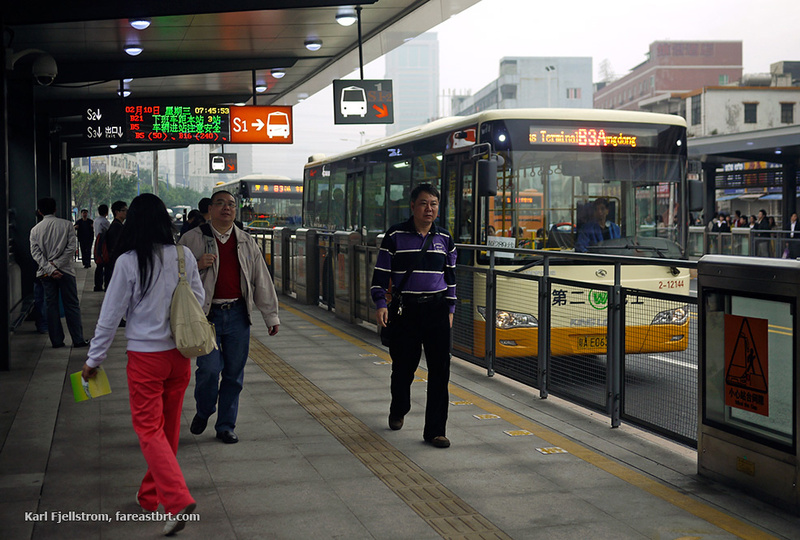 Gangding is one of many examples along the Guangzhou BRT corridor of how BRT can benefit all modes by solving the problem of bus stop congestion. 'Before' and 'after' photos of Gangding are provided below. 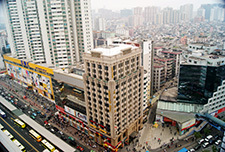 For the results outlined above, for each sample set a car was hired by ITDP and followed the general traffic flow during the morning and evening peak traffic hours on 4 weekdays and 1 weekend.